Give your off-duty wardrobe an update with this cute co-ord. 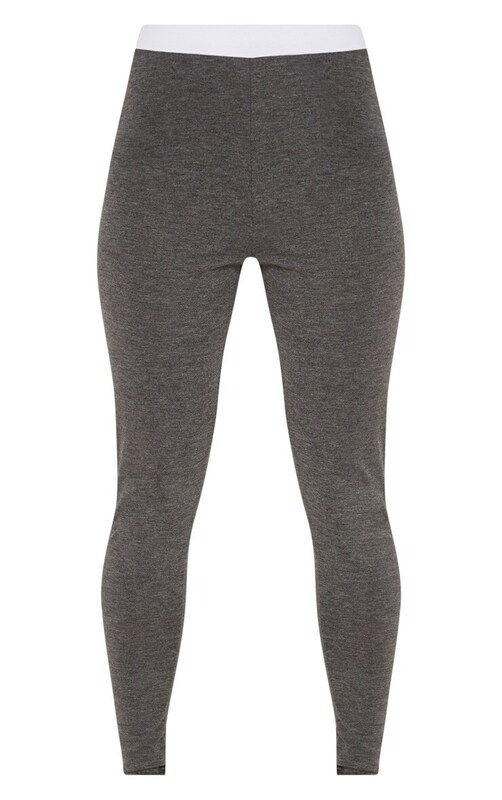 These leggings feature a grey jersey fabric with a contrasting white waistband and a figure-hugging fit. Team it with the matching crop top for a look we're loving.